Do you have small chips in your teeth? Are some of your teeth an irregular shape or just uneven? Do you wonder what it would be like to have a perfect, vibrant smile that you could proudly show off to friends, family, and co-workers? If you are like most Americans, you dream of having an amazing, dazzling smile and not a fractured set of teeth that make you feel self-conscious. 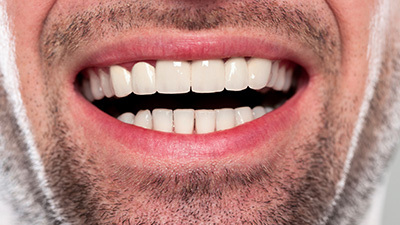 Instead of dealing with an imperfect set of teeth, obtain the smile you wish you had. The 21st Century Dental & Sleep Center team can provide teeth recontouring, which can give you a stellar set of lovely teeth. Why Choose 21st Century Dental Tooth Recontouring? 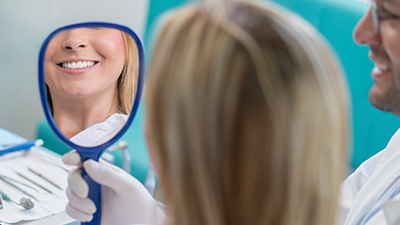 Our recontouring treatment is designed to make teeth look even and beautiful by correcting small chips in teeth, adjusting irregular tooth shapes caused by damage or other factors, and adjusting the length of canines. Recontouring can also remove crevices or overlaps between teeth, which can lead to plaque or tartar buildup. Before we can begin with this procedure, however, we need to examine your teeth and make sure you are a good candidate to receive recontouring. During your initial consultation with our experts, we will take X-rays of your teeth to determine the size and location of the pulp located within the teeth (which contains nerves, blood vessels, and roots). If the enamel is too thin, then the procedure will be a no-go and we will recommend porcelain veneers. However, if everything looks right and there is no decay present, we can move forward. Our dentists will utilize a special diamond bur to remove small amount of tooth enamel and even out your teeth. If there are chips, crevices, or irregularities, we can smooth them out with the bur and make your teeth look amazing. 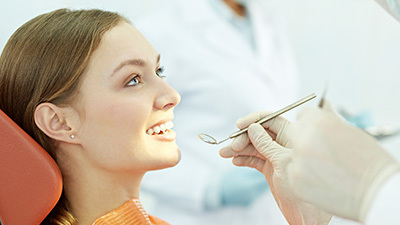 The shaping process does not take very long, and when complete, we will polish your teeth, giving you a shining smile. It’s a bit like manicuring, but for your teeth! No follow-ups or special additions are necessary after the treatment is complete. Simply continue with your regular oral healthcare and try to avoid damaging your teeth.